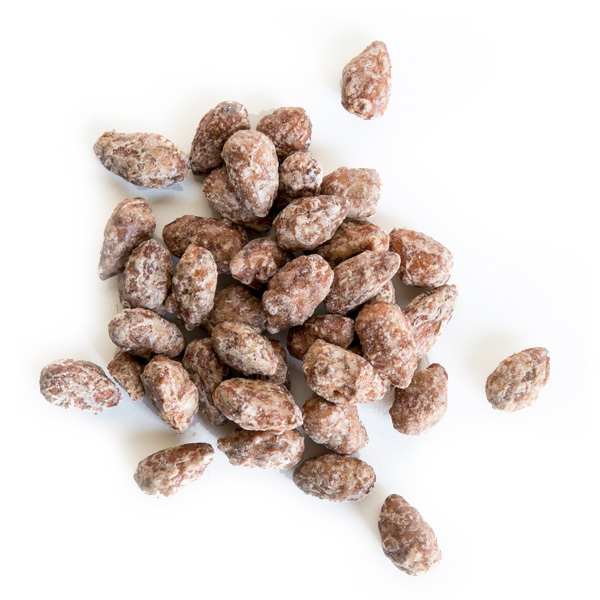 Maple Praline Almonds are our salute to the Great White North. Thanks for being awesome, Canada! We use the finest maple syrup from Quebec and mix in some praline deliciousness. The two go together like flannel and lumberjacks. These crunchy nuggets are artisanally crafted in small batches using superior grade California almonds. It's not all indulgence though, almonds also help to build and maintain strong bones. Strong bones for everyone!